Welcome to our Monthly Challenge page! This is the hub where you’ll find all the information for things we have going on each month! Our next DietBet is starting on April 13 and is a 28-Day Kickstarter Dietbet – Sisterhood Summer Shrinkdown + Bootcamp! Bet on yourself! DietBet Transformer games offer 5 monthly pots plus one Grand Prize pot. Each time you hit a target, you win money! Betting makes you 5x more likely to succeed. Slow and steady goals. Each month has its own manageable target. Didn’t reach your goal this month? That’s OK. You’ve got plenty of time to catch up! A Prize Every Week from DietBet… Fun! Just weigh-in each week and automatically get entered to win amazing “surprizes” like Withings scales, $100 gift cards, and FitBits! We have a secret Facebook group you’ll receive access to once you join our DietBet, for a safe place to post about your weight loss successes and challenges. It’s just an added extra way for the Sisterhood to help keep you motivated and encouraged. Join our KREW! As a member of our KrowdFit KREW, you’ll have more ways to stay both motivated and moving to reach your ultimate weight loss and fitness goals by competing against others in step, sleep, and activity challenges. 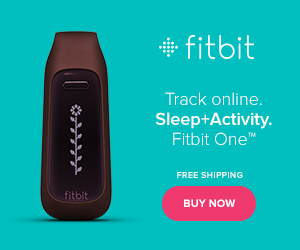 We have two FitBets starting on March 1st! Our March Madness Steps Challenge challenge is all about steps! If you reach the step goal for the month, you will be entered into a random drawing (within our KREW) for $100. The same goes for our March Madness Activity Challenge! Both challenges last 30 weeks and are free for you to join once you’re part of our Krew. We have a secret Facebook group especially for our Sisterhood KREW where we’ll work hard to keep you moving so you can reach your goals! Each month we have a new monthly fitness calendar with exercise prompts that get increasingly harder as the days progress. Our June calendar is all about the squat! 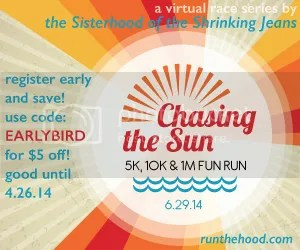 Check out our Run With the Sisterhood Facebook page! We’ll be kicking off registration for our July 4th race soon! Our June Sisterhood Shots is one more way to keep you motivated on your healthy living journey! Our sister site, Shrinking Kitchen produces a weekly menu plan each Sunday, in addition to having hundreds of delicious recipes with nutritional information calculated for you. Get weekly motivation delivered right to your inbox via our bi-weekly emails. Sip your coffee and get ready to rock the day, everyday! You an also join over 123,000 people and like us on Facebook for all-day-long motivation right in your news feed! And finally, be sure to subscribe to our email list so you’ll never miss a thing. We’ll send you delicious recipes, recently published articles, and other fun stuff.